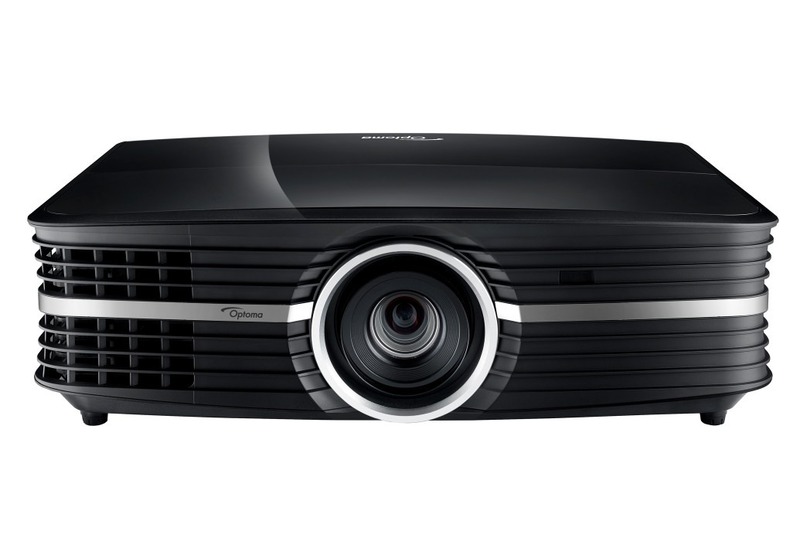 Wireless Full HD Kit WDS01 should work together with W1070+, W1080ST+ or other models as below to make easy and fast wireless projection. 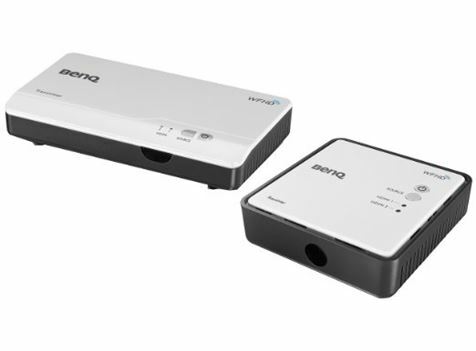 Together with BenQ’s new-generation Wireless Full HD Kit, the projector frees you from wiring troubles, placement hassles, as well as extra remodeling costs. Available as an optional accessory, this powerful kit enables the projector to stream uncompressed, stunning 1080p Full HD content wirelessly . So you can kick back, relax and enjoy your favorite movies and games! Absolute Convenience | One-Time SetupOnly a few steps are required to set up the kit once and for all to give you plug-and-play convenience like no other. Once everything is connected correctly, the transmitter and the receiver will automatically pair up with the projector the first time you power them on – and turn on to re-connect with the projector every time after. To save you from all the cable trouble, the customized receiver box can be easily mounted to the right side of the projector and electronically charged by the projector instead of taking up another power socket. It just doesn’t get easier than this. The projector comes with a wireless coverage of up to 30 meters (100 feet)* in distance at line of sight and four built-in antennas to ensure the best streaming quality through cabinet doors and from one room to the next. 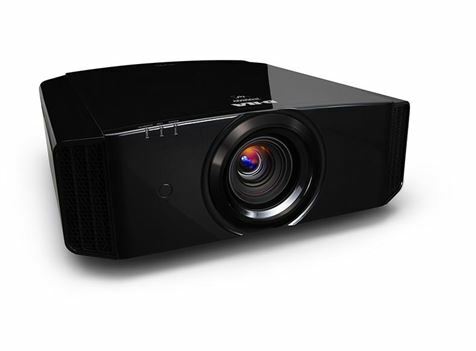 The home projector also delivers a latency-free performance ideal for playing fast-action and motion-sensing games. Time to get ready for high quality audiovisual enjoyment and the smoothest gaming experience in the living room or in the privacy of your bedroom. With a Dynamic Frequency Selection (DFS) mechanism to automatically switch between channels when encountering signal interference, an incredibly stable Full-HD streaming quality is all you’ll get. 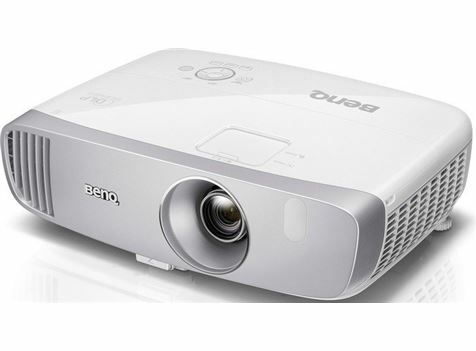 Please follow below steps to setup Rx If your BenQ projector is one of following models launched in 2016: W1070, W1110, W1350, W2000, W3000. 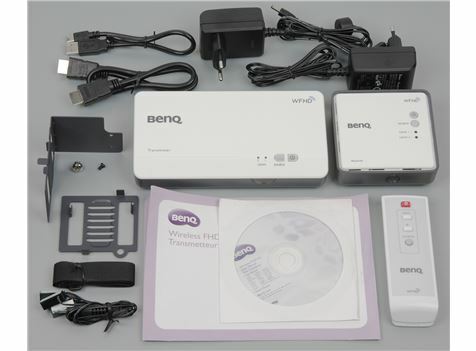 If your BenQ projector is shipped before the year of 2015, please refer to user manual for more information about how to fix the Rx with your projector. Fix one side of the L-type mounting holder to the tripod hole on the bottom of Rx by using supplied anchor. Fix the other side of the L-type mounting holder to the bottom of projector by using supplied anchor. Connect one end of supplied USB cable to the mini USB jack of the Rx and the other end to the USB type A jack of the projector. Connect supplied HDMI cable to the HDMI out jack of the Rx and the HDMI input jack of the projector. 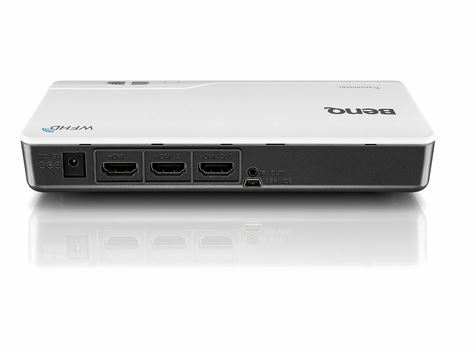 Connect up to two HDMI audio/video devices to the Tx. Connect the power adapter to the Tx. If necessary, connect a second display to HDMI OUT of Tx for loop-through function. The purpose to setup the IR blaster cable is to control source devices when Tx and Rx are located in different rooms. Connect one end of IR blaster cable the IR OUT jack of the Tx. Stick the other end of the IR blaster cable near the IR sensor of your high-definition audio/video device.